It was a good day for the "colleagues" yesterday. They got the verdict the wanted from Karlsruhe – as good as they were going to get. Barroso announced his plans for a new treaty and they saw off the eurosceptic challenge in Holland. "It is a signal for Europe" purrs Spiegel. 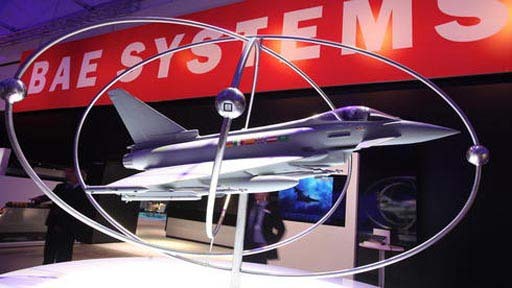 And now they get this - the surprise merger talks between aerospace and defence giants, BAE Systems and EADS. In separate press releases, the two companies declare that the potential merger would "create a leading international company in the fields of aerospace, defense and security with material production and technology capacity in France, Germany, Spain, the UK and the US". But none will be more delighted than the "colleagues" who see the integration of defence contractors as central to underpinning their European Defence Industrial Policy, creating a truly European defence giant, to match the power of the US. A European defence identity is still very much a priority in the EU. We saw this yesterday in the Barroso speech, where he happily declared that "the world needs a Europe that is capable of deploying military missions to help stabilise the situation in crisis areas". Thus, he stated, "We need to launch a comprehensive review of European capabilities and begin truly collective defence planning". Detaching the major equipment suppliers from their national anchors, taking the "British" out of BAE Systems, is a very good start. The Emperor Barroso must have gone to work with a song in his heart this morning.